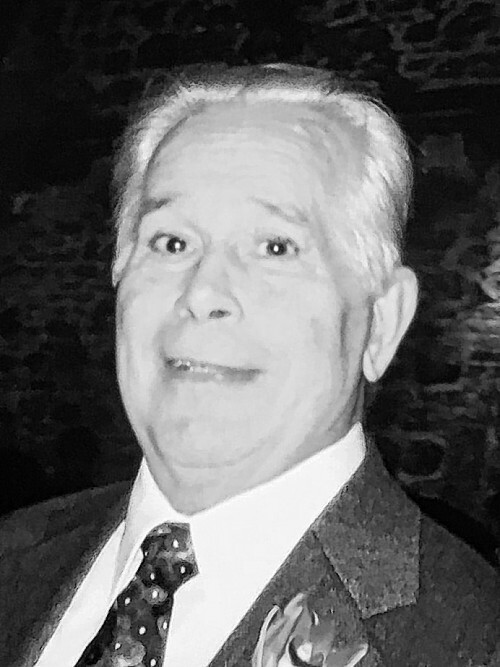 RICHARDS - David N. Of North Tonawanda, Wednesday, March 20, 2019 at the age of 84. Husband of the late Shirley A. (nee Arbeiter) Richards; dearest father of Paul (Linda) Richards, James (Deborah) Richards, Cynthia (fiance; Philip Sampognaro) Melnick and Michael (Melanie) Richards; proud grandfather of 10 grandchildren and six great-grandchildren; dear brother of Grace Joseph and the late Elmer Richards; also survived by nieces, nephews and cousins. Family will be present to greet relatives and friends SUNDAY, MARCH 24th, from 3-7 PM at the Saber Funeral home, 549 Oliver St., North Tonawanda, 14120 where Funeral Service will be held Monday at 10 AM, Pastor Michael Borgstede officiating. David was a U.S. Marine Corps veteran and a retired employee of the U.S. Postal Service. Flowers graciously declined. Memorial gifts may be made in David's honor to Kenmore Mercy Hospital Foundation or St. John Lutheran School, 6950 Ward Rd., North Tonawanda, NY 14120.